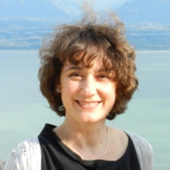 María del Puerto Morales is Professor at the Institute of Material Science in Madrid (ICMM/CSIC), Spain since 2008. She got her degree in Chemistry by the University of Salamanca in 1989 and her PhD in Material Science from the Madrid Autonomous University in 1993. From 1994 to 1996, she worked as a postdoctoral fellow at the School of Electronic Engineering and Computer Systems of the University of Wales (UK) and got her permanent position at the ICMM/CSIC in 2000 (4 Sexenios). Her research activities are focused on the area of nanotechnology, in particular in the synthesis and characterization of magnetic nanoparticles for biomedicine, including the mechanism of particle formation, surface modification and its performance in biomolecule separation, NMR imaging, drug delivery and hyperthermia.